Search for advertising agencies in Fort Lauderdale and you’ll find no shortage of options. But how do you decide which agency is a good fit for your business? Local advertising agencies such as Zimmerman cater to big-name clients with even bigger marketing budgets, while other agencies such as Starmark focus on specific aspects of marketing, missing the whole picture. 1. Compared to the average Fort Lauderdale consumer. Claritas data with current year projections, January 2019. Should You Work with a Media Buyer? Cost – Media buyers work for commission (typically 15% of total ad spend), driving up their agency fees and costing you more in the long run. Strategy – Media buyers have one job, to buy ad space. Working exclusively with a buying agency can leave you with an ineffective marketing strategy. Industry Knowledge – While media buyers offer extensive knowledge of marketing channels, they often lack specific knowledge on what works for your industry. Transparency – Working with a media agency can leave you with an unclear picture of where your advertising dollars are going and what you’re getting in return. If you’re operating on a smaller marketing budget, your money is best spent working with a full-service advertising company in Fort Lauderdale, FL. Traditional advertising companies in Ft. Lauderdale, FL act as middlemen between their clients and the media, driving up costs and leaving room for error. When you choose Valpak of Fort Lauderdale for your marketing needs, you’re choosing a marketing agency that provides cost-effective solutions directly to small and midsize businesses. Valpak of Ft. Lauderdale has helped thousands of local businesses effectively plan and execute their marketing campaigns. Our full-service approach starts with gaining an intimate understanding of your business needs and challenges. Our team of advertising experts will work with you to find the best audience in Fort Lauderdale for your business based on income and purchasing behavior. With industry-leading performance tracking and analytics, you can rest assured you’ll never be in the dark about your ROI. With our print products, it’s all about you. From our single-panel coupons to flyers and circulars, your business and offer will be center stage, enabling you to reach new consumers directly. Among the households that receive Valpak, 9 in 10 open and look through the envelope and 82% of those households look at every insert inside it.2 You won’t get that kind of exposure with any other local direct mailer. For the most powerful duo in marketing, combine your direct mail advertising with a digital marketing campaign to reach even more consumers. From restaurants to auto shops to fitness centers to medical practices, Valpak of Ft. Lauderdale has the industry knowledge and know-how to help your business succeed. Contact us today to get started on your Fort Lauderdale advertising campaign. 2. 2018 Valpak® Readership Study, Research Now®, December 2018. 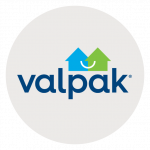 Reach 440,000 targeted households monthly in Boynton Beach, Boca Raton, Pembroke Pines, Pompano Beach, Deerfield and Tamarac with Valpak of Fort Lauderdale. Shaded areas on the map below denote a Valpak mailing area of 10,000 homes. For specific dates and coverage, contact your Valpak of Fort Lauderdale representative. Clint Bridges, owner of Everglades Holiday Park, has relied on Valpak for his South Florida advertising needs for many years. From ROI to working with a responsive, professional rep, Clint says Valpak has set the standard by which he gauges his other marketing channels. Clint would highly recommend Valpak to any businesses looking for advertising services in South Florida.